Marra, S., Ferru-Clement, R., Breuil, V., Delaunay, A., Christin, M., Friend, V., Sebille, S., Cognard, C., Ferreira, T., Roux, C., Euller-Ziegler, L., Noel, J., Lingueglia, E. and Deval, E. (2016). Non-acidic activation of pain-related Acid-Sensing Ion Channel 3 by lipids. EMBO J 35(4): 414-428. Lolignier, S., Gkika, D., Andersson, D., Leipold, E., Vetter, I., Viana, F., Noel, J. and Busserolles, J. (2016). New Insight in Cold Pain: Role of Ion Channels, Modulation, and Clinical Perspectives. J Neurosci 36(45): 11435-11439. Busserolles, J. and Noël, J. (2016). La douleur sous le contrôle des canaux potassiques. Douleur et Analgésie 29(4): 204-211. Lolignier, S., Bonnet, C., Gaudioso, C., Noel, J., Ruel, J., Amsalem, M., Ferrier, J., Rodat-Despoix, L., Bouvier, V., Aissouni, Y., Prival, L., Chapuy, E., Padilla, F., Eschalier, A., Delmas, P. and Busserolles, J. (2015). The Nav1.9 channel is a key determinant of cold pain sensation and cold allodynia. Cell Rep 11(7): 1067-1078. Francois, A., Schuetter, N., Laffray, S., Sanguesa, J., Pizzoccaro, A., Dubel, S., Mantilleri, A., Nargeot, J., Noel, J., Wood, J. N., Moqrich, A., Pongs, O. and Bourinet, E. (2015). The Low-Threshold Calcium Channel Cav3.2 Determines Low-Threshold Mechanoreceptor Function. Cell Rep.
Pereira, V., Busserolles, J., Christin, M., Devilliers, M., Poupon, L., Legha, W., Alloui, A., Aissouni, Y., Bourinet, E., Lesage, F., Eschalier, A., Lazdunski, M. and Noel, J. (2014). Role of the TREK2 potassium channel in cold and warm thermosensation and in pain perception. Pain 155(12): 2534-2544. Devilliers, M., Busserolles, J., Lolignier, S., Deval, E., Pereira, V., Alloui, A., Christin, M., Mazet, B., Delmas, P., Noel, J., Lazdunski, M. and Eschalier, A. (2013). Activation of TREK-1 by morphine results in analgesia without adverse side effects. Nat Commun 4: 2941. Hao, J., Padilla, F., Dandonneau, M., Lavebratt, C., Lesage, F., Noel, J. and Delmas, P. (2013). Kv1.1 channels act as mechanical brake in the senses of touch and pain. Neuron 77(5): 899-914. Delaunay, A., Gasull, X., Salinas, M., Noel, J., Friend, V., Lingueglia, E. and Deval, E. (2012). Human ASIC3 channel dynamically adapts its activity to sense the extracellular pH in both acidic and alkaline directions. Proc Natl Acad Sci U S A 109(32): 13124-13129. Baron, A., Diochot, S., Salinas, M., Deval, E., Noel, J. and Lingueglia, E. (2013). Venom toxins in the exploration of molecular, physiological and pathophysiological functions of acid-sensing ion channels. Toxicon 75: 187-204. Deval, E., Noel, J., Gasull, X., Delaunay, A., Alloui, A., Friend, V., Eschalier, A., Lazdunski, M. and Lingueglia, E. (2011). Acid-sensing ion channels in postoperative pain. J Neurosci 31(16): 6059-6066. Descoeur, J., Pereira, V., Pizzoccaro, A., Francois, A., Ling, B., Maffre, V., Couette, B., Busserolles, J., Courteix, C., Noel, J., Lazdunski, M., Eschalier, A., Authier, N. and Bourinet, E. (2011). Oxaliplatin-induced cold hypersensitivity is due to remodelling of ion channel expression in nociceptors. EMBO Mol Med 3(5): 266-278. Descoeur, J., Pereira, V., Pizzoccaro, A., François, A., Ling, B., Maffre, V., Couette, B., Busserolles, J., Courteix, C., Noël, J., Lazdunski, M., Eschalier, A., Authier, N. and Bourinet, E. (2011). Implication des canaux ioniques dans l'hypersensibilité au froid induite par l'oxaliplatine. Cancéro digest 3(3): 215-217. Appleby, V. J., Correa, S. A., Duckworth, J. K., Nash, J. E., Noel, J., Fitzjohn, S. M., Collingridge, G. L. and Molnar, E. (2011). LTP in hippocampal neurons is associated with a CaMKII-mediated increase in GluA1 surface expression. J Neurochem 116(4): 530-543. Deval, E., Gasull, X., Noel, J., Salinas, M., Baron, A., Diochot, S. and Lingueglia, E. (2010). Acid-sensing ion channels (ASICs): pharmacology and implication in pain. Pharmacol Ther 128(3): 549-558. Beraud-Dufour, S., Abderrahmani, A., Noel, J., Brau, F., Waeber, G., Mazella, J. and Coppola, T. (2010). Neurotensin is a regulator of insulin secretion in pancreatic beta-cells. Int J Biochem Cell Biol 42(10): 1681-1688. 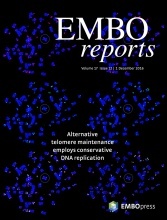 Noel, J., Salinas, M., Baron, A., Diochot, S., Deval, E. and Lingueglia, E. (2010). Current perspectives on acid-sensing ion channels: new advances and therapeutic implications. Expert Rev Clin Pharmacol 3(3): 331-346. Noel, J., Zimmermann, K., Busserolles, J., Deval, E., Alloui, A., Diochot, S., Guy, N., Borsotto, M., Reeh, P., Eschalier, A. and Lazdunski, M. (2009). The mechano-activated K+ channels TRAAK and TREK-1 control both warm and cold perception. EMBO J 28(9): 1308-1318. Deval, E., Noel, J., Lay, N., Alloui, A., Diochot, S., Friend, V., Jodar, M., Lazdunski, M. and Lingueglia, E. (2008). ASIC3, a sensor of acidic and primary inflammatory pain. EMBO J 27(22): 3047-3055.